The new feature won't provide live updates, but the color-coded icon will give you a general idea of the parking availability. 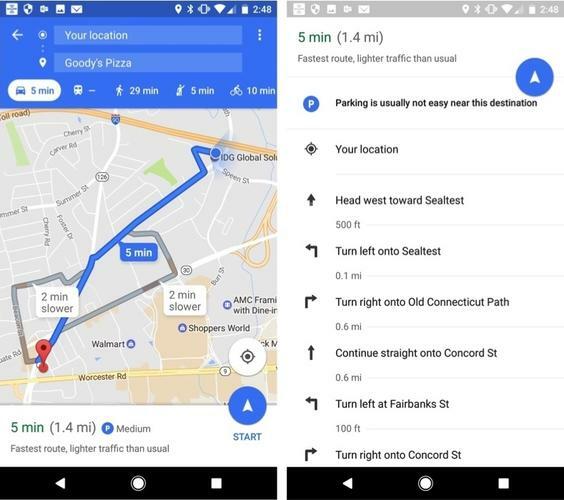 If you’ve ever taken longer to find a parking spot than you did driving somewhere, Google Maps might be able to help—or at least prepare you for a headache. Thanks to a new feature in the latest beta, you’ll now be able to tell how hard it will be to park once you arrive at your destination. The new feature is easy to miss. The next time you pull up driving directions, you’ll see a small circular P icon to the right of your route overview, next to which will show three levels of parking difficulty: Easy, Medium, and Limited. (To make it easier to see at a glance, easy and medium are colored blue while limited is red.) While the feature doesn’t update to show the actual parking situation when you arrive (at least not yet), you can get a slightly longer description when you expand your directions. You'll have to be a beta tester to see the new feature, as it's only available in the 9.44 beta. Curious drivers can check it out by sideloading the Google-signed APK from APKMirror. Why this matters: Parking can be a major headache when driving somewhere new, so we’ll take any information we can get. And with the new Uber integration built right into the app, a red circle could mean the difference between driving or being driven somewhere.